A poor credit rating can have a disastrous effect on your financial life. Those with so-called ‘sub-prime’ ratings frequently find it difficult to gain access to credit or if they are offered it, soon realise that they are required to pay over the odds via hugely inflated interest rates. It is important to understand the causes of a poor credit rating, therefore, both in order to avoid it if your rating is currently acceptable, and in order to begin to improve it if it has already suffered. It is easy and cheap to order a copy of your credit report. There are three main credit reference agencies, and it is highly recommended that you make regular checks with all of them. Reading this simple document will give you a good idea of the factors that contribute to a poor rating. Your credit report will show details of all of the different types of credit you have been using within the last twelve months. This might include overdrafts, credit cards and personal loans, as well as recurring utility payments such as a mobile phone. Each of these sections will also show your payment history for the last twelve months, represented numerically; the report will show how many payments you have missed for each of these sections within that period.It can be seen, therefore, that one of the key reasons for a poor credit rating is a history of missed payments for existing credit. Lenders wish to see evidence that you are a trustworthy borrower who has the means to repay the loan. As such, any recent poor form will have a negative impact. 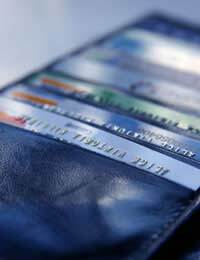 There are a number of other reasons, however, why your credit rating may be poor. If you have repeatedly failed to make payments on a loan, your creditor may have deemed you to have ‘defaulted’. This will also appear on your report, and is far more damaging than a few missed payments. More seriously, County Court Judgements (CCJs) against you will frequently cause potential creditors to turn you down out of hand, as will an open bankruptcy notice. Bankruptcies are recorded on your credit rating for a period of six years, but within this time they can be devastating to your access to credit. There are also other, less obvious reasons that your rating might be poor. If your record has been searched a significant number of times in a short period then this will have a detrimental effect; as a result it is unwise to keep applying to other lenders if you are turned down by one, until you have taken some action to repair your rating. Finally, many lenders (somewhat strangely) deem those who have no previous borrowing history to be a higher risk than those who do. As a result, if you have never used or successfully applied for credit before, you are likely to find that your rating is poor. In these circumstances, it may be advisable to apply for a credit card from a lender with low lending criteria such as Capital One. You should cut this card up immediately, however; you are likely to find that you are offered an interest rate of around 30%.